Hammer Gel and e-Gel are both maltodextrin based with lots of complex carbohydrates, that’s a good thing. The main difference is electrolytes – Hammer Gel has almost none, while e-Gel is designed to provide complete and balanced electrolyte replacement. Both e-Gel and Hammer Gel contain high ratios of complex carbohydrates which is good (see this video). 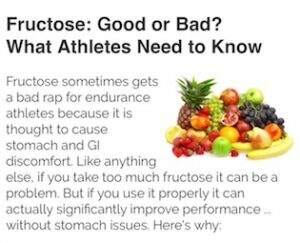 In addition, e-Gel has approximately 18% fructose which allows you to uptake more total energy due to the way that fructose is transported and processed. For more information read this article. Antioxidant vitamins C and E help protect against tissue damage, reduce soreness and aid in the recovery process. Hammer Gel does not provide these antioxidants.